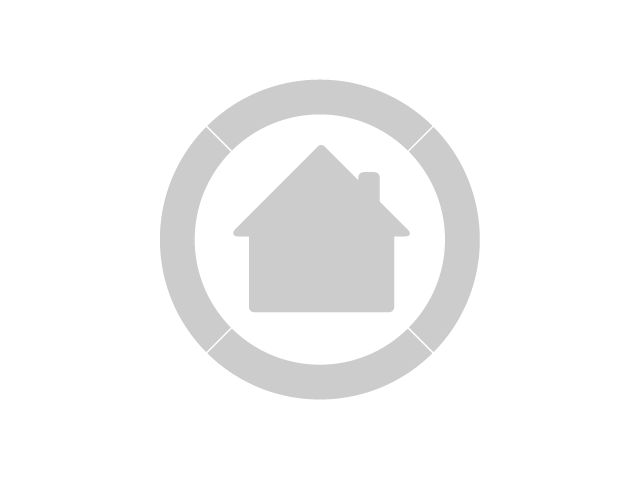 The property on offer is situated in Roodeplaat, Pretoria - North East, Gauteng. The Sable Hills Waterfront Estate has the benefit of being a waterfront as well as a game residential reserve with antelope and small game life roaming freely and protected. Then of course, the Roodeplaat dam offers the access to residents and other communal amenities like a club house, children’s play area and swimming pools. One of the design briefs for homes in the estate is to blend in to the surrounds and still offer the maximum amount of prestige. This family home is architectural and practical in a somewhat understated manner, which is obvious and evident for the street view, obscuring the true extent of the home. The interior of the home is the statement of quality craftsmanship, applications and use of materials, and the latest fittings. For some the layout of this home may be a bit unconventional bit then this is Avant Garde architecture and use. The entrance foyer is by itself a statement and one would expect the home to open up to a voluminous open plan living area. 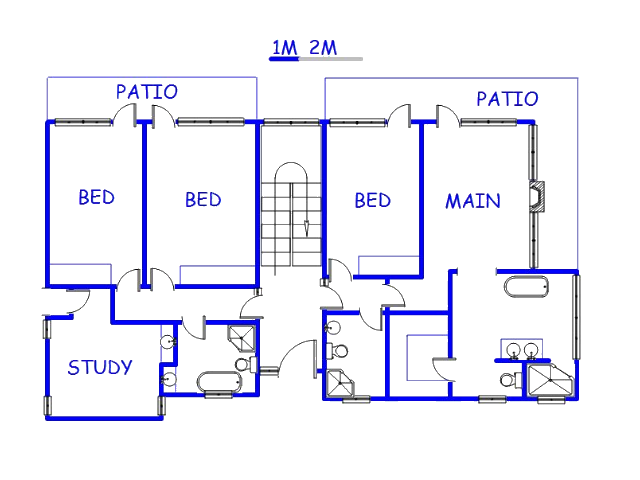 Not so, this should pique the interest as the ground floor of the home consists of the four main use bedrooms. The master bedroom is well-proportioned with large full-length windows and a door opening up into the garden and beyond. The en-suite bathroom defines the definition of custom fitment with screed covered vanities sporting classic basins and the matching bath. A walk-in dresser adds to the classic use of space. 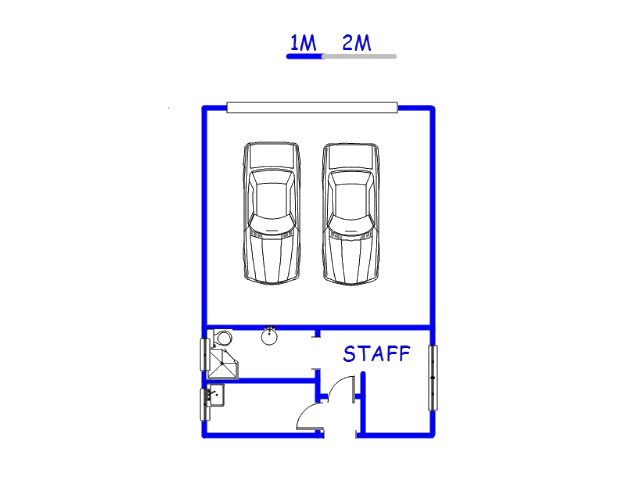 The remaining three bedrooms are generously sized, sunny and have large built-in cupboard space. The bathrooms servicing these three bedrooms are similar in design and finish with the latest fittings. A study is located on the ground floor, ideal for the home executive. The first floor of the home puts the ensemble into perspective with a large voluminous open plan lounge and dining room separated by the double volume space created by a staircase. The lounge of course enjoys vistas into the splendid nature and glimpses of the dam from the balcony. The dining room enjoys the same perfect views, and is served by the custom kitchen, finished in screed counter tops and fashionable cupboards. There are volumes of storage space for utensils and groceries. Space has been allocated for all the major appliances like a double door fridge, dishwasher and washing machine. The dining room also has a built-in braai adding further use to the dining room. 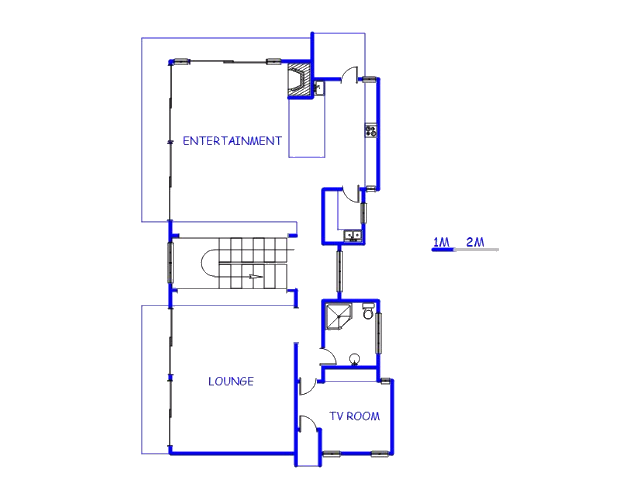 There is one more bedroom located on the first floor which is generously sized and has large built-in cupboards. The bathroom servicing the first floor is equally fashionable and expertly fitted. Staff quarters are provided for the family needing extra help running the home. We will e-mail you when another property of this kind becomes available in Roodeplaat.